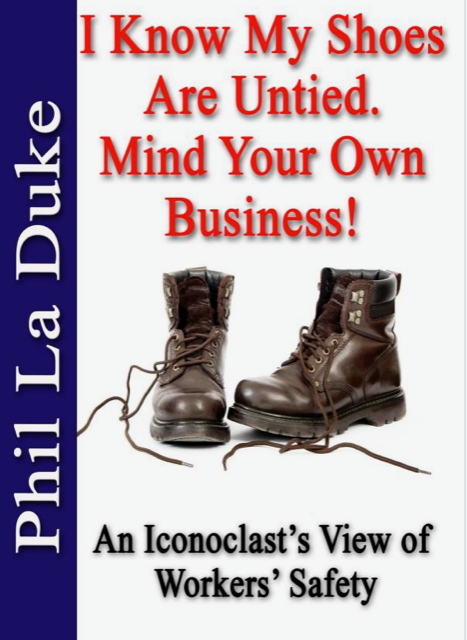 Phil La Duke doesn’t write to be ‘nice’, middle class and pedestrian. He seeks to provoke thinking and action about safety in a style that some find offensive. On the other hand Phil also finds un-safety offensive and so tries to strike a balance between triggering critical thinking and putting safety in an ethical perspective. I have just finishing reading Phil’s new book I Know My Shoes are Untied. Mind Your Own Business (https://www.amazon.com/gp/product/1945853123/ref=dbs_a_def_rwt_bibl_vppi_i0). 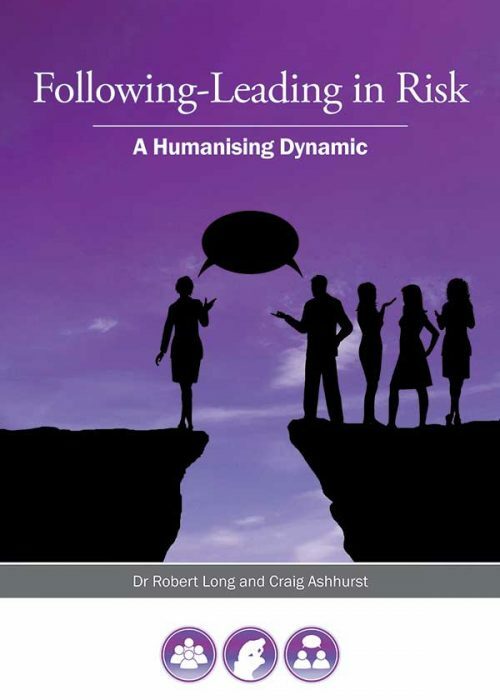 It’s a thought provoking and practical book for safety people. Phil La Duke is not interested in blind agreement nor the delicate and sensitive discourse of being ‘nice’. Indeed, he starts with a piece on the responsibility of safety people, projecting ownership of safety on to safety people, which I don’t agree with. I understand his point that people die in workplaces and that someone needs to take responsibility but as I stated, learning is not necessarily about agreement. Perhaps I just see safety as a more complex picture than that proposed in the opening foray. But hey, I don’t even use the language of ‘safety professional’ as Phil does but if you only read where your comfort is then you’re not open to learning or critical thinking and this book is not for you. Once I got over the hurdle at the start I then hooked into his piece on training (pp.11-33) and really enjoyed his simple and practical tips about how to make safety mindfulness more engaging in training. I wish I had written such a piece. These 20 pages of how to train in safety alone should be a must read for anyone in the safety industry. The majority of the book is structured around the thinking and ideas of Edward Deming (https://en.wikipedia.org/wiki/W._Edwards_Deming). I must admit I have never taken much interest in Deming but know plenty of safety people who use his work as a Bible. However, I don’t think Deming is Phil’s Bible but rather a clear structure on how to view, think critically and practice orthodox safety. I say orthodox safety because this is clearly where this book sits. For those immersed in the work of safety this is your book. My own view comes more from an angle of risk and I don’t come at the challenges of safety through a safety lens. Phil’s book addresses a number of myths/symbols in the safety industry that he believes make the industry delusional and ineffective, these are: Behavior Based Safety, Sloganeering, Heinrich’s Pyramid and Fear. Concern about these issues emerges from Deming’s 14 Points but also from Phil’s depth of experience. I must say, Phil does a great job of exposing how these myths are unhelpful and delusional, yet knows that things are not likely to shift soon. Phil is a realist and knows that a good myth in safety is much more convenient that reality. (He even mentions the Jim Jones People’s Temple cult as a metaphor for drinking the Kool Aid of safety propaganda). The subtitle for this book is: ‘An Iconoclast’s View of Worker’s Safety’ and this is where I really connect with Phil’s purpose and strategy. Despite that fact that this book is a ‘no frills’ approach to orthodox safety, Phil is not afraid to tear down the sacred icons in the temple. I wish there were more like Phil who understood that much of what is believed in the safety industry is both unprofessional and delusional. The title of the book of course draws out the fundamental problem of ethics in the practice of safety. An ethic is a moral system and plenty of what masquerades as safety has very little ethical thought, particularly in the way humans are demonised. At what point does our care for others justify overriding the dignity, integrity, respect, humanity and personhood of another? On what basis can a safety person actualise a self-declared right to override the will of another? What rights are in conflict over the rule of safety over the rights of others? These are not simple moral dilemmas but foundational to the ‘method’ and methodology of the practice (ethic) of safety. The book title captures the problem well, the industry needs a perspective on risk that extends way past a petty pissy focus on minor hazards. Phil tackles these issues because his pragmatic approach and understands how such strategies are ineffective in making the workplace safer. Finally, why should you buy and read the book? It is amazing how many safety texts still spread the nonsense of pyramids and matrices, behaviourism and blame. Phil’s book is refreshing in the fact that it demolishes these naïve traditions and focuses on the real and actuality of helping people be safe.